Its time to put to out of box thinking cap. 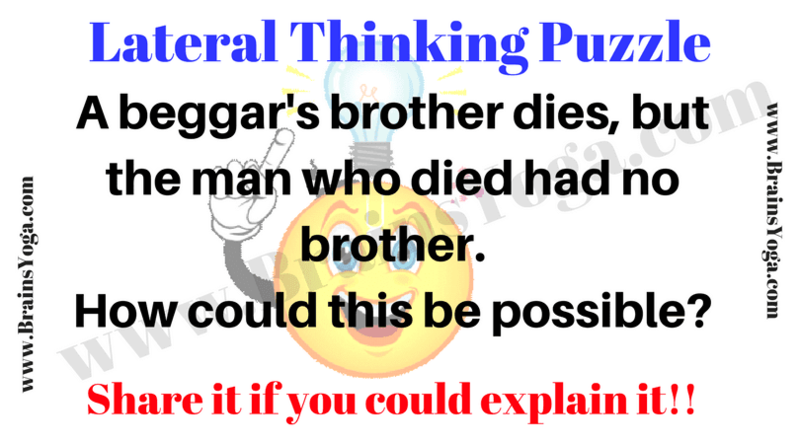 This is the lateral thinking brain twister question which will make you think out of box. Can you solve this this Lateral thinking puzzle as quickly as possible? 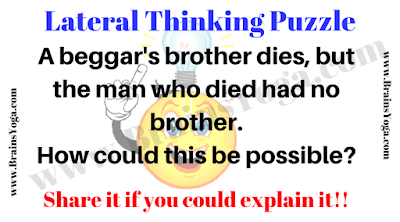 Can you solve this lateral thinking puzzle question? Beggar is a girl whose brother died.